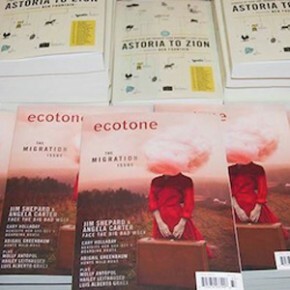 This week’s What’s Your Ecotone? comes from Judi Campbell, who now calls Massachusetts home. I am fascinated by people who can make a good life for themselves outside of their comfort zones. 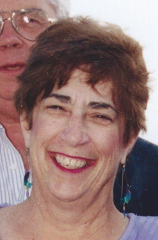 As a retired corporate technology executive who is a heterosexual female, and as a mother of two who has lived several lives—some in parallel—I now work with immigrants and refugees who seek to improve their conversational English. More significantly, these are people who put themselves in a position to meet others who are not necessarily like them. Watching and listening as they interact and find similarities and differences, I witness how a conversation about a bunch of grapes, or ice fishing, can turn into a cultural exploration. I see the courage it takes to speak up even if you know you will make mistakes. Many of these students are experienced professionals who now work menial jobs. But they have found ways to belong and contribute to their new community. This makes me appreciate their courage all the more. It also makes me appreciate the privilege of having lived a life that has allowed me to be in this place and to make a difference. I moved to Peabody, Massachusetts this year, embarking on yet another change. My physical worlds over time have included New York City, South Texas, England, upstate New York, and Northern Virginia. I find there are always new things to learn, and interesting people to meet. Curiosity and a sense of humor are my most invaluable life tools.